During one of my tailoring classes Mrs. Lee,my teacher, took us students to finally see the Costume room we have at school.I didn't even know we had such a precious room.For those who doesn't know what the costume room is will definitely enjoy looking at the photos I took. The costume room at LATTC, my fashion school holds classic dresses,old fashion garments, unique styles and much more.It keeps garments donated by outsiders and also garments that once were in the school passed fashion shows.Students that finish the fashion design program at our school have to design a entire collection, including different categories to be on the fashion show and get the certificate. I can't wait for my moment.. 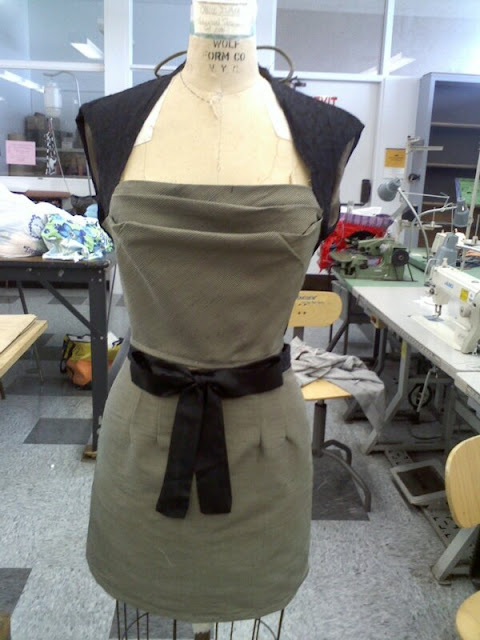 Fashion school is really great but you wouldn't believe how much you have to get done in little time!! How about this Designer Jacket/suit? Stripes are always in, no matter what!My favorite Print! Cowl Shirt and Straight Skirt Project!